Kingman Turquoise Double Stone Beaded Bracelet handmade by Chili Rose Beadz. 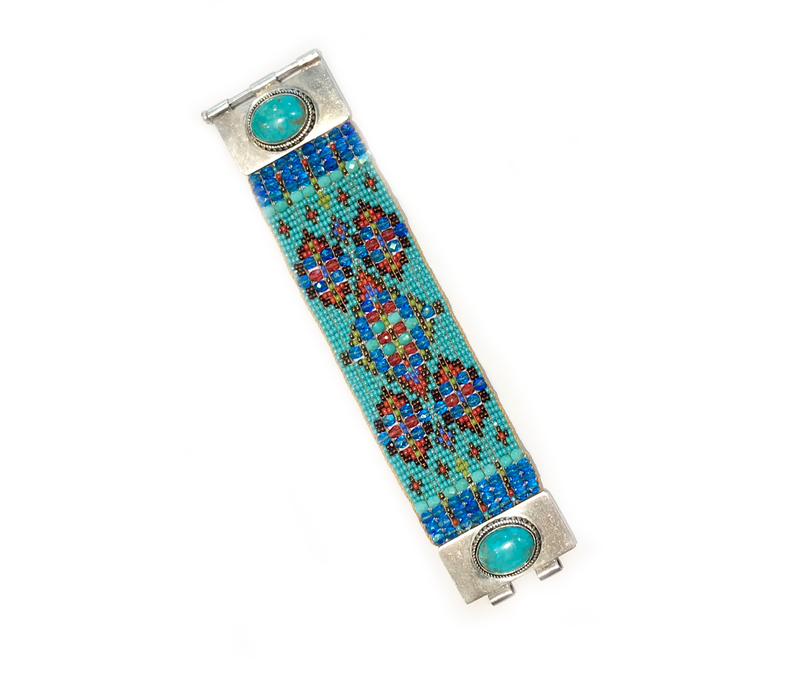 This fabulous bracelet features 2 pieces of kingman turquoise set in sterling silver. 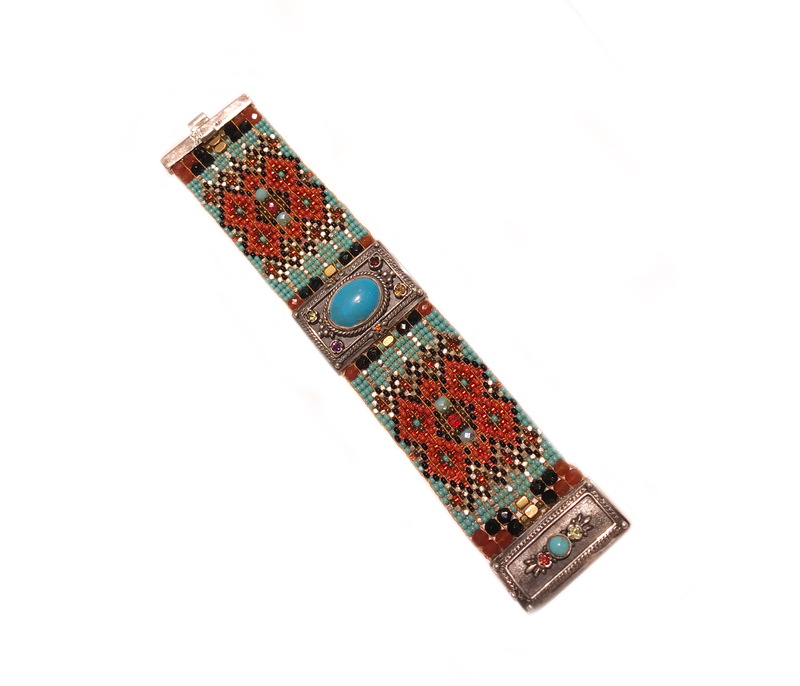 The beaded bracelet is loomed in a traditional fashion in a rug pattern. 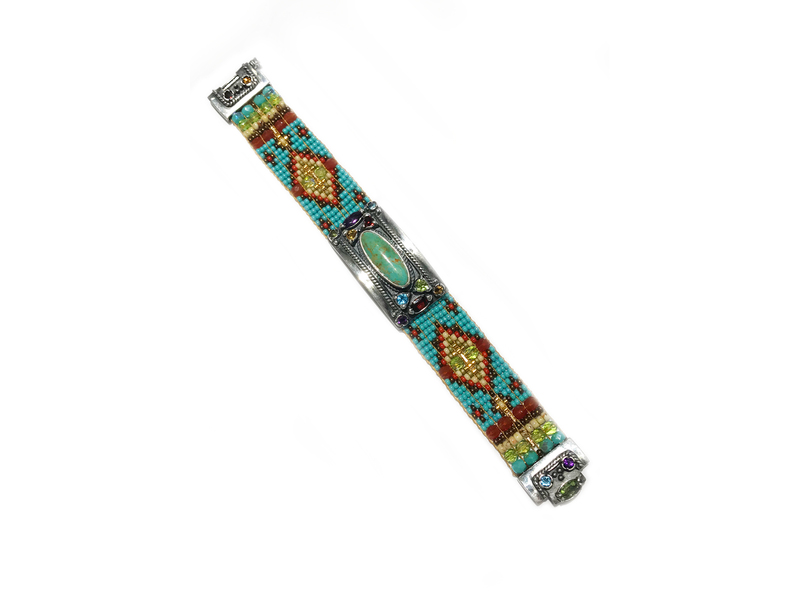 The beaded bracelet is 7″ inches long and 1 1/2″ inches wide with a slide clasp for easy wear. 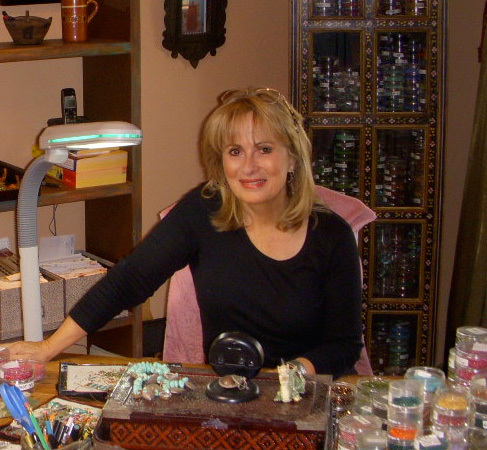 Adonnah Langer hand looms Czech and Japanese seed beads with Czech fire-polished and brass beads into intricate, sparkling patterns. Endcaps, clasp and chain in sterling silver. Exclusive bracelet handmade in USA.